Yup. Those were eight beautiful half chickens that were lovingly marinated only to be taken down in flames. 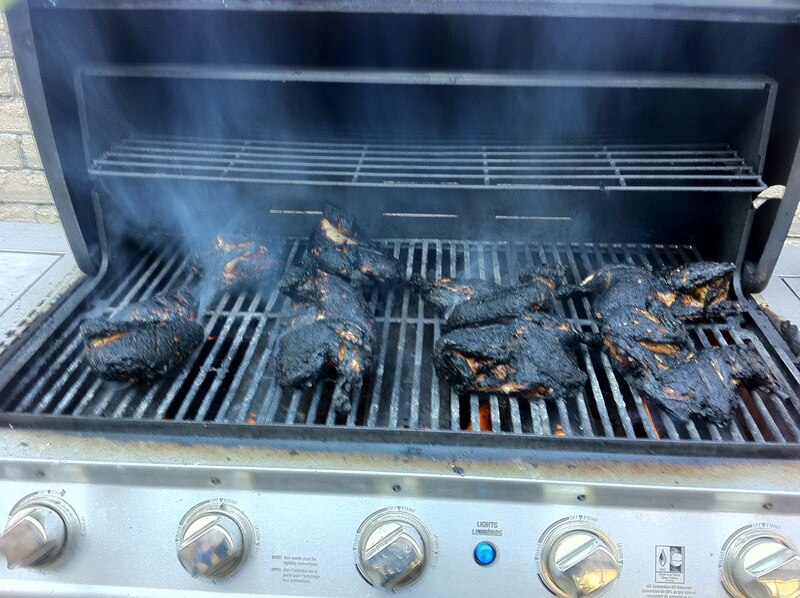 Seems my crewmate tending the bbq forgot to turn the heat down. I am just glad it wasn't me. 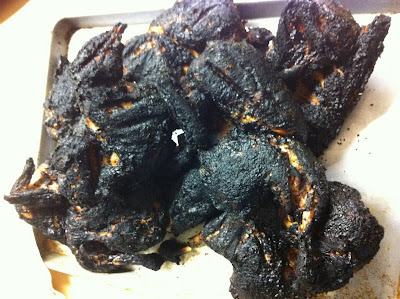 There's nothing worse than 7 hungry firefighters ready to lynch you as they try to figure out how to eat this. It was hopeless. 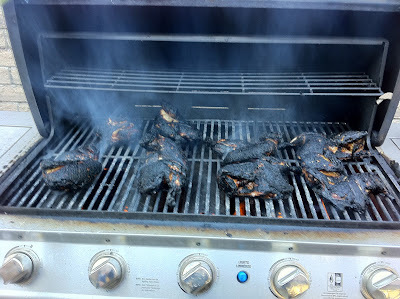 It was like trying to eat vaporized charcoal. HAHAHAAHAHAH! Oh..that was a good one!!!! Such irony!!! I'm still chuckling over it! 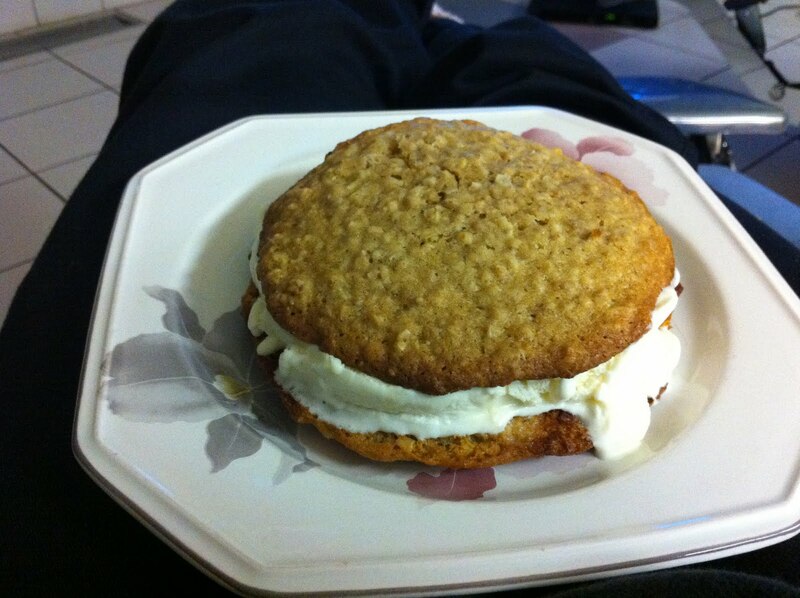 And that's one really huge ice cream sandwich.. is that normal?